Welcome to the official online portfolio of Steve Nash "The Goalie Mask Specialist". This website is dedicated exclusively to custom *hand painted* and airbrushed goalie mask / helmet art! 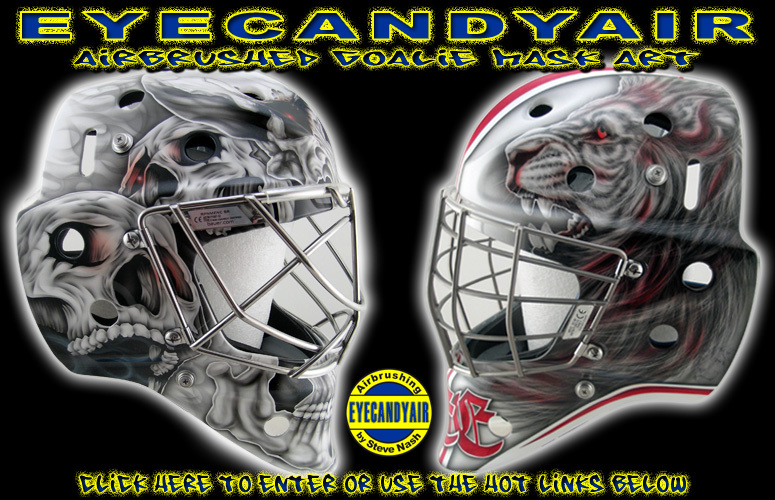 If this is your very first visit to EYECANDYAIR, please click on the airbrush painted goalie masks above to enter the site and enjoy the mouth watering visual experience to it's fullest. 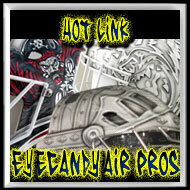 Goalies that frequently visit, can use the EYECANDYAIR HOT LINKS below for quick and easy access to our most popular sections filled with airbrushed hockey helmet art and designs. Such as our PRO Goalie Mask Section, Custom Goalie Mask and Helmet Airbrush Painting Galleries and our exclusive "Our Goalies" Section where we feature EYECANDYAIR goaltenders in action on ice showing off their freshly designed custom painted masks and helmets by Steve Nash!